Web Desk (December 24, 2018): Former Premier Nawaz Sharif has been handed seven years of jail time in Al-Azizia Reference Case. Although, Accountability Court has acquitted Nawaz Sharif in Flagship Investment Reference. Former PM was also fined Rs. 1.5 Billion in Al-Azizia Steel Mills Case. He has been transported to the Adiala Jail while the detailed judgement of the cases is yet to be released. Nawaz Sharif has been in the line of fire since the Panama Papers scandal first came to light in April 2016, which eventually led to his ouster from the Prime Minister Office on charges of possessing assets beyond declared means. The Panama Papers dump revealed that Sharif and his children owned offshore companies and assets, allegedly established from money channelled from Pakistan. The assets included apartments in London’s upscale Mayfair area. 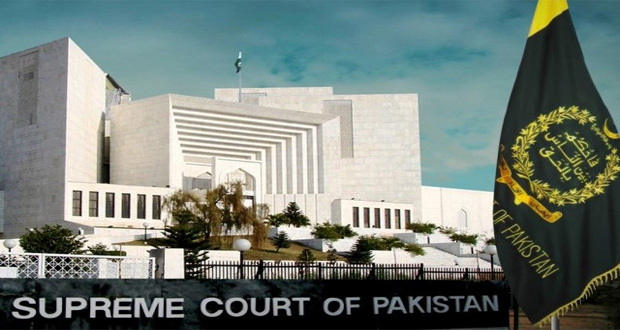 The Supreme Court ordered investigations by a Joint Investigation Team (JIT) into allegations of Sharif’s children using the offshore companies on petitions filed by Pakistan Tehreek-e-Insaf, Jamaat-e-Islami, Jamhoori Watan Party and others. The JIT was formed with representatives from the ISI, MI, NAB, FIA and SECP. Some of the questions it had to probe included: where did the money for the company, Flagship Investment Limited, come from? And can the story that the Sharifs transported machinery from Dubai to Jeddah to establish the Azizia Steel Company be verified? In July 2017, the court disqualified Sharif from office for failing to declare a receivable salary as an asset. 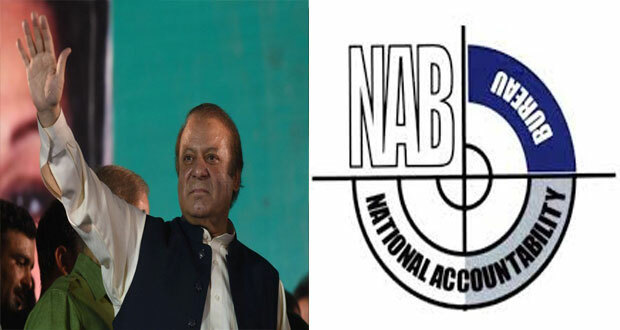 The court then directed the National Accountability Bureau (NAB) to file corruption references on the basis of the JIT report against Sharif and his children. The accountability court had six months to decide the cases. But the deadline came and went. Eight extensions later, the apex court is expected to decide its final verdict on Monday, December 24. Here is a look back at the major events from the time the Panama Papers scandal was first reported and the accountability court’s verdict in the Flagship Investment and Azizia Steel Company corruption references. The Supreme Court of Pakistan (SCP) ordered formation of a Joint Investigation Team (JIT) to inquire into allegations of money laundering, corruption and contradictory statements by Sharif and his relations in a 3-2 split decision. The JIT submited a final report to the SCP. A five-judge panel unanimously disqualified Sharif from holding any public office finding that he had been dishonest in not disclosing his employment in the Dubai-based Capital FZE Company in his nomination papers. 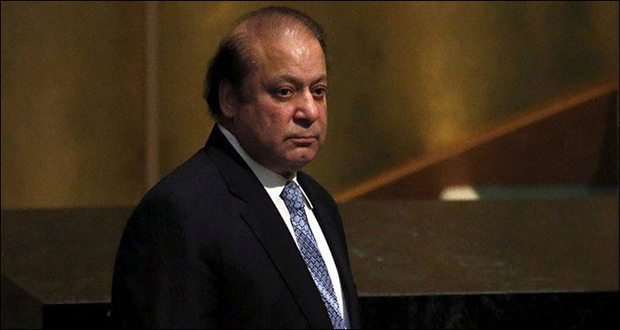 Sharif filed three separate appeals in the Supreme Court to review its verdict in the Panama Papers case that resulted in his disqualification. The Supreme Court dismisses the review petitions filed by Sharif, his children and Finance Minister Ishaq Dar, challenging his disqualification in the Panama Papers scandal. Sharif and his family’s accounts and properties seized. The accountability court had declared Hussain and Hassan absconders over their perpetual absence from proceedings in the offshore assets case. 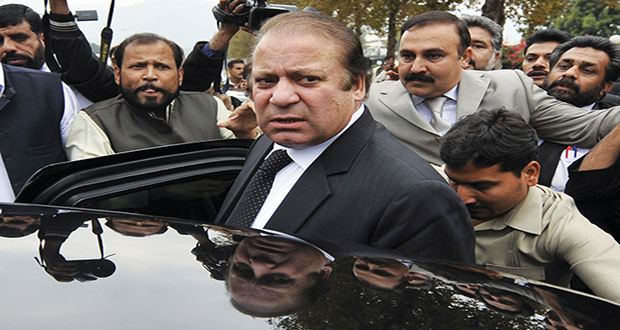 The SCP disqualified Sharif as the Pakistan Muslim League-Nawaz (PMLN) chief. The court sentenced Sharif to 10 years rigorous imprisonment in the Avenfield properties case. The sentence extended to his daughter Maryam Nawaz, and son-in-law (Rtd) captain Safdar, sentencing them to 7 years and 1 year imprisonment, respectively. Sharif and his daughter Maryam were arrested on their arrival from London to Lahore, and subsequently were taken to the Adiala Jail in Rawalpindi. Sharif s wife Kulsoom Nawaz died in London. The Islamabad High Court (IHC) suspended the jail sentences of Sharif, his daughter and son-in-law, and ordered their release with an immediate effect. Later, the NAB challenged the IHC’s ruling in the SCP. In total, 183 court hearings were made in the Flagship and Al-Azizia references against him while the NAB produced 16 and 22 witnesses in the references, respectively. The former premier has been produced before the court 15 times from the Adiala Jail. Initially, Judge Muhammad Bashir heard 103 proceedings in both references followed by Judge Arshad Malik, who conducted the inquisitorial proceedings 80 times. Importantly, the SCP had ordered the NAB to file three references including Avenfield Properties, Al-Azizia and Flagship Investment against the Sharif family. The charge against the family is that Hassan Nawaz, the former premier’s youngest son, set up an investment firm in 2001, with an office registered in the United Kingdom. At the time he was 25-years-old. Earlier this month, during a hearing, the NAB stated that Nawaz Sharif even received an amount of 0.78 million AED from the investment firm that he claims to have no stake in. The accountability court had to determine how and from where did Hasan get the funds to set up the investment firm? Hussain Nawaz Sharif, the former prime minister’s elder son, claims that he received a sum of $5.4 million from his grandfather to establish the steel conglomerate in Saudi Arabia. The payment was made by a Qatari royal on the request of the elder Sharif. Thereafter, scrap machinery was transported from their Ahli Steel Mills in Dubai to Jeddah to establish Al-Azizia in 2001. The JIT constituted to investigate the graft allegations insist that the real owner of the mills was Nawaz Sharif, and it was being operated by his son on his behalf. Hussain was 29-years-old at the time. The JIT also held that Nawaz Sharif received 97 per cent profit as ‘gifts’ from Hill Metals Establishment, another company established by Hussain Nawaz Sharif in 2005, in Saudi Arabia. Of the amount, Nawaz Sharif transferred 77 per cent to his daughter, Maryam Nawaz Sharif. (Maryam is not accused in this reference). Here as well, the NAB claims that since Sharif received a large profit from Hussain’s companies, he is the real owner and not his son.